What a find. A traditional butcher’s shop in an area of imposing office blocks on Theobald’s Road, just a few minutes from the heart of the West End. The staff are skilful and really know their stuff, there’s sawdust sprinkled on the floor. It’s how a proper butcher’s shop should be. Their meat’s top quality if the two pork chops we bought were anything to go by, and reasonably priced to boot. The Italian and I love traditional shops, they make shopping a whole different experience. 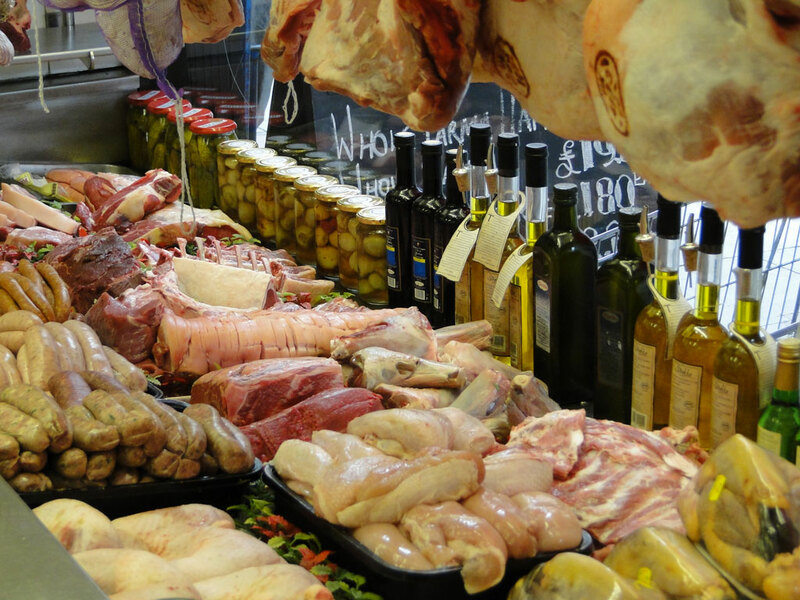 Instead of slinging a shrink-wrapped plastic tray into a supermarket trolley you can enjoy having a discussion about the piece of meat you’re looking for, choose it, and have it trimmed, boned or rolled and tied just the way you want it. 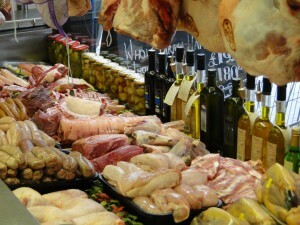 On the day we visited, there was a great selection of joints, chops, steaks and chickens to choose from. Along with some amazing sausages, all the usuals plus some really interesting ones – venison and red wine, wild boar and apple and chicken and apricot. And if you need a globe or two of garlic, they’ve got more than you can shake a leg of lamb at; their windows are festooned with huge bunches of the stuff.